Loring and her life-long partner, Florence Wyle, had come to Toronto in the early 1900s. They'd both been born in the United States and shared a studio in Greenwich Village. 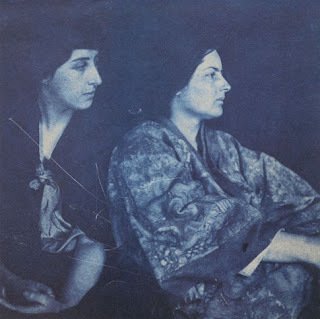 They were at home in that neighbourhood's bohemian atmosphere, getting to know their artist neighbours like Georgia O'Keeffe and Gertrude Vanderbilt Whitney. But their parents didn't approve. One day in 1913, Loring's father shut down the studio and offered to move the pair to Toronto. He would be able to keep an eye on them here — and hoped our city's conservative values might rub off on them. Instead, it was the other way around. The Girls, as they were known, would bring a slice of bohemian life to stodgy Toronto. They eventually settled in a rundown converted church in Moore Park (a block south of St. Clair, a few blocks east of Yonge). The Church would become not just home to the sculptors and their work, but the closest thing Toronto had to the famous art salons in Paris. Loring and Wyle became friends with the most important artists, musicians, architects and intellectuals in the city. 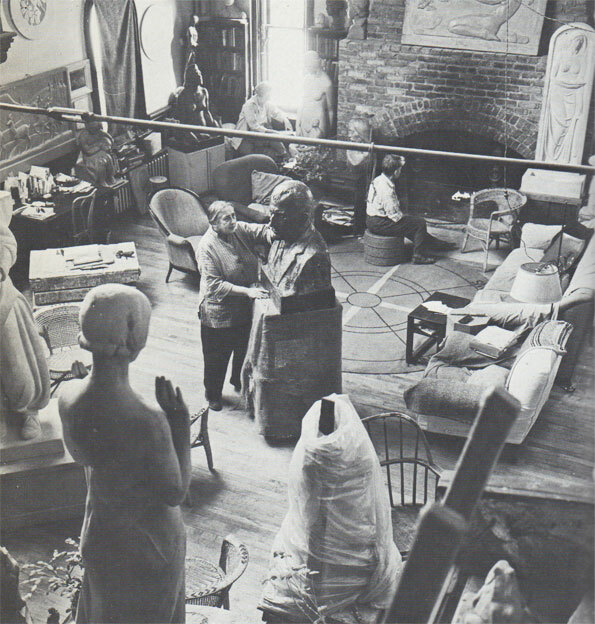 Their Saturday night parties became the thing of legend, going on long into the night, guests warmed by the big red brick fireplace, surrounded by half-finished sculptures and an assortment of cats. The Group of Seven and Sir Frederick Banting, the Nobel Prize-winning doctor who helped discover insulin, were particularly close friends, but the guest lists were long and filled with notable names. The Church has been called "the hub of all that was vital and exciting in the Toronto art world of the twenties and thirties... one of the most fascinating gathering places in the country." Their good friend A.Y. Jackson, one of the members of the Group of Seven, called it "the art centre of Toronto... a most colourful place... What wonderful parties they put on!" A young Timothy Findley grew up nearby; his father pointed Loring and Wyle out to him. "One day," his father said, "you will remember those two women, and you will understand how wonderful they are." Their contributions went far beyond social gatherings. At a time when female sculptors were dismissed and passed over for commissions — they were too frail for such physical work, some claimed — Loring and Wyle not only pioneered the place of sculpture in modern Canadian art, but the place of art in modern Canadian culture. When the Girls first arrived in Toronto, Canadian art was not taken seriously even by Canadians. They played a leading role when it came to changing those attitudes — even while some Torontonians were busy gossiping about their sexual orientation (which is unclear to this day). Loring and Wyle co-founded several groundbreaking artistic organizations, including the Sculptors Society of Canada and the Federation of Canadian Artists, pushing for the policies that would eventually lead to the creation of the Canada Council for the Arts. Loring in particular dedicated much of her time and energy to public causes and education, a familiar face at meetings and art openings, a familiar voice on the CBC. By the time the QEW opened, Loring and Wyle were already well-known for their war-related work. During the First World War, they had been commissioned to produce a series of statues about workers on the home front. Those sculptures had made them famous. Since then, Wyle had concentrated on smaller pieces while Loring developed a taste for large, monumental work. Loring was an obvious choice for the lion that would sit at the base of the column on the QEW; Wyle was chosen to carve the much smaller King and Queen in relief. The Lion was one of the most challenging pieces Loring would ever tackle. The work came with strict, nationalistic requirements. The limestone would have to come from a Canadian quarry even though it was of a lesser quality. And that was only the beginning of the trouble. A stone carver would be required to complete Loring's design, but every stone carver she suggested was rejected. They all had Italian or German heritage; as far as some Canadian government officials were concerned, they were the enemy. In the end, Loring was stuck with an Englishman she had never worked with before — and who resented taking direction from a woman. Finally, when she discovered the stone carver had made a change to the design of her lion without her permission, Loring fired him on the spot. She would complete the stone work herself, despite the fact that she had never done stone work on that scale before. Already in her 50s, but undaunted, she climbed the scaffolding up the column on an island in the middle of the superhighway, protected from Lake Ontario's bitter November winds by only a thin tarpaulin. As she chipped and chiseled away in the cold for weeks on end, her fingers were seized by arthritis. The ailment would consistently plague her for the rest of her life. Despite the obstacles, when Loring's work was finally finished, it was a triumph. The sculptor had produced a beautiful, stylized lion rising from a reclining position, snarling and defiant, ready to face the Nazi threat and the brutal travails of the Second World War. Loring was praised for her artistic mastery: "a balance of tension that could be sensed running from the powerful paws to the end of the tail." The great cat has been hailed as "one of the finest pieces of outdoor sculpture in Canada" and "the finest piece of architectural sculpture in the country." The Lion became a landmark for Torontonians. It was impossible to miss as they drove along the lake shore in and out of the heart of the city. Children were particularly enthralled by the stone beast, keeping an eye out for the big cat as their parents drove along the highway. They called it the Lucky Lion. It was a powerful part of the city's public imagination. But then came the Gardiner Expressway. Twenty years after the opening of the QEW, the new highway along the lake shore cut a swath through some of Toronto's most recognizable landmarks. The old Dufferin Gate at the CNE was demolished. So was most of the Sunnyside Amusement Park. South Parkdale disappeared. Fort York was barely saved. And with the new highway and a booming population driving more and more traffic toward the QEW, the older highway would need to be expanded. In 1974, it was widened to twelve lanes. The island where the Monument stood was removed. The plan called for the Lion to be demolished. In response, there was an outpouring of public support for the Monument. Torontonians loved their Lion. In the end, the government relented and promised to save it. But many hoped for more than that: not only did they want the Lion saved, they wanted it to be given a new home where it would remain an important part of Toronto's cultural consciousness. The Globe and Mail published an editorial declaring, "A country which sweeps aside its past and its art for ribbons of concrete is going nowhere of any importance." The Lion, the newspaper argued, should be given "a place of prominence by the Queen Elizabeth Way, or another place of equal prominence." The sculptor Rebecca Sisler, who had followed in the pioneering footsteps of Loring and Wyle and would later pen their first biography, wrote a letter to the paper. "Surely The Monument represents something rare in the annals of Canadian achievement: a synthesis of artistic excellence, historic significance, and public affection. Is this province so poverty-stricken, spiritually and financially, that funds cannot be allocated to preserve our best-known monument? 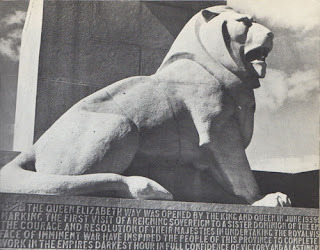 ... Are there no sites in the core of Ontario's capital where the column and its splendid Lion could be re-erected in the mainstream of everyday life where it can continue to stir public imagination?" In the end, there was a compromise: the Monument was moved to a nearby location in Casimir Gzowksi Park on the waterfront. It survived — it's still there today — but its importance was greatly diminished. 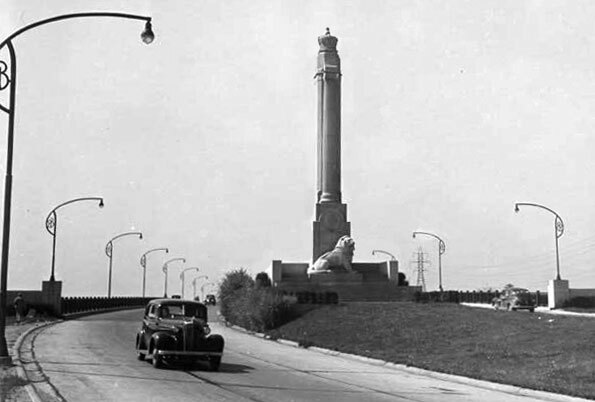 Cars passing on the Gardiner can barely see the tip of it; the Lion is a part of the mainstream of everyday life only for those who pass through that section of the park or pay particularly close attention as they speed by on Lake Shore Boulevard. Over the last few decades, the Lion has faded from the minds of most Torontonians. As have Loring and Wyle. Their work does live on, however. Their sculptures can be found all over our city — all over Canada, in fact: chiseled into some of our finest buildings, on display in Osgoode Hall and in the Art Gallery of Ontario and in the National Gallery in Ottawa, standing on Parliament Hill, preserved among the facades on the grounds of the Guild Inn in Scarborough, and in the Loring-Wyle Parkette on St. Clair... "They are our immortality," Wyle once said. The Church, too, is still there. 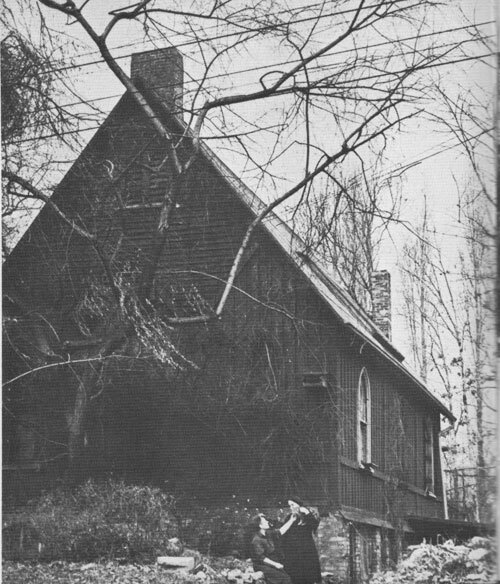 When Loring and Wyle first moved in, it stood in an orchard north of the city. Now, it's in the middle of the megacity; Mount Pleasant Road roars by just a couple of doors down. The Girls left the building to the Royal Canadian Academy of the Arts when they died, to be used in support of Canadian artists. The Academy, unable to bear the cost of turning it into an arts centre, sold it so they could put the funds to use instead. Some worried the Church would be turned into condominiums or demolished entirely. Instead, it ended up in friendly hands. The Sniderman family lived nearby. Sam the Record Man himself was a guest at some of Loring and Wyle's legendary parties. His wife Eleanor was a long-time friend of the sculptors; she even commissioned a bust of her likeness to be sculpted by Wyle and put on the labels of the albums released by her record company. Their son, Bobby, grew up as one of the neighbourhood kids who would visit the "Clay Ladies" for a glass of milk and some cookies, a few words about art and kindness to animals, and a lump of clay to take home. When the Church went up for sale, Eleanor Sniderman begged her husband to buy the Church so that it would be saved. And so he did. Bobby Sniderman would marry his wife, Marlie, in front of the big red brick fireplace the very same year the Lion came down off the QEW. In the decades that followed, the younger generation of Snidermans would continue to live their lives in the Church. When Loring and Wyle's most recent biographer, Elspeth Cameron, visited before the publication of her book in 2007, she found the Church much as the Girls had left it. It had been cleaned up, restored in places, but still preserved, still home to many of the sculptures created there. The busts Loring and Wyle had sculpted of each other were still gazing at each other across the fireplace. Now, nearly 40 years after the Monument was moved to its current home, the future of another one of Toronto's beloved cultural landmarks is up for debate. And while we decide what to do with Sam the Record Man's spinning neon disks — how and where to preserve the sign, and with it a reminder of the rich musical history of the Yonge Street Strip — there may be a lesson or two to be learned from the Snidermans themselves, from their friends Loring and Wyle, and from that defiant stone lion on the lake shore. Someday I'll write more about Loring and Wyle and their church. And I'm working on a dream for Loring. But for now, one of my favourite tidbits that didn't make this piece: Loring and Wyle kept chickens, which they named after the members of the Group of Seven. Oh and here's a bit about the Church before it became their studio from the brilliant Lost Rivers site. You can learn more about the sculptors in a couple of biographies. You can buy Elspeth Cameron's And Beauty Answers here or borrow it from the Toronto Public Library here. Or buy Rebecca Sisler's The Girls here and borrow it from the library here. Just read Emma Donoghue's book 'Astray' containing the story of these two sculptors. Great story...and how good it is to be able to see the Lion and read more about the background online. I will now pay more attention and acknowledge the Lion when I visit my hometown. i'm afraid it is rather run down, now. Lights broken, monument graffiti with gang tags etc. You really have to walk out of your way to see it, as it is off the bike path somewhat.